The book Hillbilly Elegy by J.D. Vance, who grew up in Middletown, helped make it a symbol of American postindustrial decay. Fricker's is a fine place to meet Trump voters. It's located on the outskirts of an old industrial town that has seen better days. Fricker's boasts big-screen TVs, 22 kinds of beer and 36 kinds of wings. Its motto: "I love this frickin' place!" It is also packed. 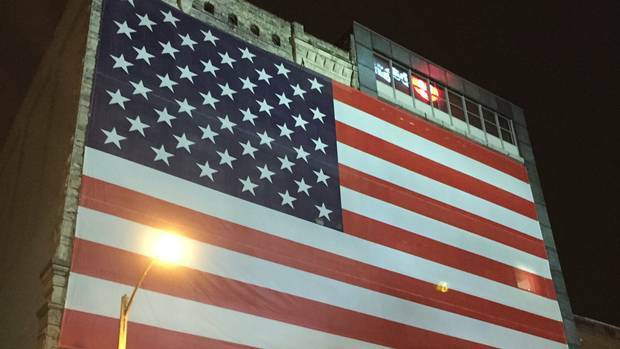 Half of Americans, maybe more, eat and drink at places like Fricker's. If you don't, then you will never understand very much about them. Tim Lawson and Craig Haass are drinking buddies from way back. Tim, a plumber, has a tidy grey goatee and wire-framed glasses. He wears a red baseball cap and a red shirt that both say Affordable Water Systems. Craig works for Faulkner Four Percent, a real-estate company. He's built like a side of beef. When I introduce myself and confess that I'm a reporter, they give me an earful. "They're wrong! They're 100-per-cent wrong!" fumes Mr. Haass. He means the media. Thanks to a book called Hillbilly Elegy, Middletown has become the poster city for postindustrial decay. A recent TV feature from Reuters depicted its citizens as helpless working-class losers looking for a saviour. The camera panned across an urban wasteland of vacant storefronts and pawnshops. The reporter informed the international viewing audience that this explains Donald Trump. But Middletown isn't like that any more. After many years in the doldrums, it is on the upswing. Dozens of businesses are expanding or moving in. Downtown is coming back to life. "We've even got a high-end wine bar!" Mr. Lawson tells me. But the TV story didn't bother to show that. I quickly realize that I am going to have to revise my story line. Like most journalists who venture into Trumpland, I'd assumed that Trump supporters are uneducated metal-bashers who have been left behind as the world moved on. Not-so-closet racists who shout things like "Jail Hillary"' among the derelict ruins of the steel mills. 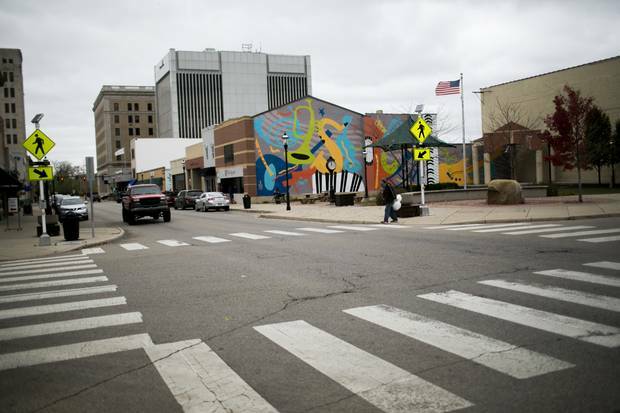 Middletown is trying to rebrand its downtown core as a hub for arts and entertainment. Middletown sits in the heartland of southwest Ohio, not far from Dayton and Cincinnati. It was walloped by the recession of 2008. But the economy had been on the wane long before then, as factories closed and jobs moved elsewhere. It was like the frog boiling in the pot. For a long time, no one realized that Middletown would have to make a living doing something else. But today, this city of 50,000 people is reviving nicely – slowly, but nicely – along with much of Middle America. "Now Hiring" signs are everywhere. The low-end factory jobs pay only a fraction – $10 or $15 an hour – of what they used to, but there are plenty of good jobs on offer, too. The regional medical centre has 300 openings. Housing construction is booming. A brand-new fancy mall boasts the biggest Starbucks I've ever seen. The state unemployment rate is 4.8 per cent – down from 11 per cent in 2010. For most people, life is pretty good. And on Tuesday, 62 per cent of Butler County, where Middleton is located, voted for Donald Trump. What the political map of Ohio looked like on Wednesday morning. "People are tired of baked-in corruption," a Democratic Party organizer tells me. "They think their opinion doesn't matter because of big money." Over and over, from liberals and conservatives alike, I hear that the politicians are just in it for themselves. They aren't entirely wrong about that. They are also deeply angry at being portrayed in the national media as uneducated, knuckle-dragging morons. In truth, most of them are not. The people who voted Trump are a cross-section of (predominantly) white America – the America that dwells in the vast hinterland between the coasts, in suburbs and small cities and the rural areas in between. Look at the exit polls. Forty-five per cent of college graduates voted for Mr. Trump. Among whites, it was 49 per cent. Among women, he won 42 per cent. He did especially well among the white middle class – the people who still make up the biggest group in America. According to pollster Nate Silver, the median income of Trump supporters is $72,000 – significantly higher than the national average. NOTE: results based on national exit polls; Margin of sampling error is ± 2 percentage points for whole sample, higher for subgroups. To find out more, I head downtown to that high-end wine bar – a lofty, airy space carved out of a once-stately building on Central Avenue. It is packed, too. 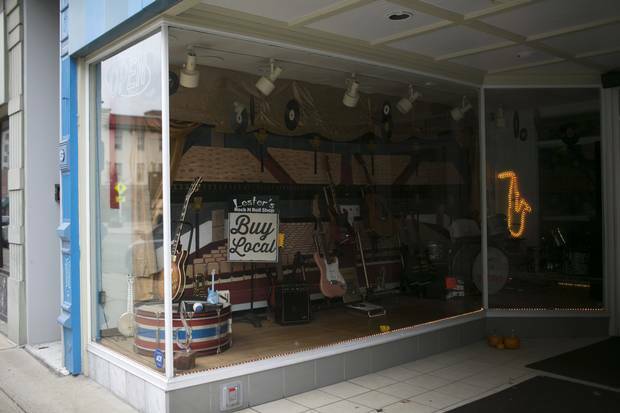 The city is trying to rebrand the downtown area as an arts-entertainment-cultural destination and, on the first Friday of each month, it puts on a special promotion to encourage business. It's Friday, and people are spilling out into the streets. Melissa Kutzera opened Central West Wine Bar with her business partner just a few weeks ago. She radiates energy and good humour. "There was nothing in this space for 15 years," she tells me. She sensed the time was right. She had a background in the business. The space was dirt cheap. And Middletown is in a heavily populated area of increasingly sophisticated consumers. She bet that lots of them would gladly drive 20 or 25 minutes to an upscale wine bar – if they could find one. Ms. Kutzera is part of a demographic wave that is beginning to transform small-city life in parts of the Midwest. They are young, ambitious entrepreneurs with millennial values who see an opportunity for a good life they can't afford elsewhere. Around here, you can buy a modest house for $100,000. You can raise your kids in safe, leafy green neighbourhoods. You can find a good job, or create one. You can do business remotely on the Internet. So, people are moving in from more expensive places – and, in many cases, coming home. "These people are my people," Ms. Kutzera says. Like many folks around here, she is descended from grandparents who were migrants from coal country in Kentucky – proud, independent, stubborn. "People around here are religious and hard-working. We have a history of hard times. It made us tough, in a good way." Ms. Kutzera is no Trump voter. She's a Bernie Sanders fan. But she, too, thinks the system is broken. And she thinks Trump supporters get a bad rap. "The characterization of Trump voters is off-base and unfair," she says. "These people are my cousins and my neighbours, and I can tell you they don't care that I'm gay. They don't care that I have a wife. And I don't care about their guns. All my friends and family have handguns and stuff like that. But I've never wanted to take anybody's guns away, and they don't want to take away my right to be who I am." Guns and gays – "That's something the media have decided we should argue about." As for racism, she says, "Republicans are no more racist than the Democrats around here." In her view, Trump voters weren't motivated by social issues or racism. They're worried about the economy and the trade deals that they think took jobs away. They've gone through a bad time, and their leaders didn't care. Nobody was on their side. Nobody looked out for them. "No offence to the media, but they want a big tagline: 'A country divided,'" she says. "But around here it's just not that way." Despite the ugliness of national politics, on a local level, people here are more united than divided. "We all have the same struggles. We all want better for our children than we had, and we're not afraid to work for it. We've always worked for what we have, and now we've got to work together and move on." 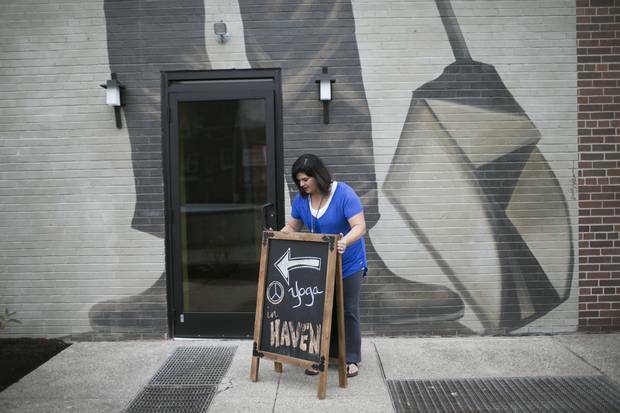 Across the street, Ami Vitori has also placed her bet on Middletown. She has worked as an investment manager in New York and a movie producer in Los Angeles, as well as a marketing and branding consultant in D.C. Then she got married and decided to move back home. She bought a vacant building that extends for an entire block, which she is renovating into space for restaurants, a hair salon, a media centre and a yoga studio. "I knew I wanted to do something with impact on the downtown, because that's where people want to be," she says. As we talk, her three sons, aged 1, 3 and 6, race noisily around the yoga studio. "This is my Middletown," she says. "It's diverse and complex and successful. That's what we do in small towns." She, too, has little time for the divisions and anger of national politics. "You see how both sides play on fear." She's a Democrat by inclination, but not because the Democrats have much to offer Middletown. "The entrepreneurial spirit doesn't line up well with the pace of government," she says. Ms. Vitori emphatically denies that America is in decline. The old industrial economy may be gone, but she's confident that people will find the way ahead – in time. That's what Americans have always done. A lot of people voted for Donald Trump because they weren't so sure. They were tired, as New York Times columnist Ross Douthat put it, of "sustainable stagnation under the tutelage of a distant and self-satisfied elite." They were also sick to death of being lectured, harassed and demonized by people who are convinced they're morally superior. This subject comes up often in my conversations with Trump supporters. "I feel like our country has gone to the left enough in the last eight years," says Roger Koch, a tall, soft-spoken retiree who used to be a plant operations director – "essentially head of maintenance" – for a nursing home. He is a college-educated Catholic who likes to call himself "a centrist," and there's a lot about Mr. Trump he doesn't like. But as a white Christian male, he felt ignored by the Obama administration. He heard constantly about LGBT rights, but nothing about the church's rights. Obama supporters wanted to prosecute bakers who don't want to make wedding cakes for gays, and nuns who don't want to distribute free birth control. That did not sit well with him. Mr. Trump brought up issues other politicians wouldn't touch. Mr. Koch doesn't want to round up immigrants, but he does think there needs to be some plan in place for limiting future immigration, and a path to citizenship that would require undocumented immigrants to pay back taxes and learn English. "I don't think we should be branded as rednecks because of that," he says. It took him a long time to decide to vote Trump. Why did he do it? Because "enough is enough." Craig Haass, the real-estate agent at Fricker's, always knew he'd vote for Mr. Trump. He likes hunting deer. He is not about to let anybody takes his guns away. He thinks the real gun problem is in places like Chicago, which, despite tough laws, has racked up more than 3,800 shooting victims so far this year. He says that people should be able to mention this without being tarred as racists. He's got a point about that. He thinks Obamacare is a steaming mess. It is. He says that just because someone is uneducated doesn't mean he isn't smart. There are a lot more smarts than book smarts. Mr. Haass is fed up with being treated as The Other. "I watch The Ellen DeGeneres Show," he told me. "It's on the TV in my office. She had someone blasting Trump the other day. Ellen has never had one person to speak for the other side." That goes for almost all the mainstream media, including the late-night talk shows, and practically anything that comes from Hollywood. They are a monoculture of left-liberal thought. He's sick and tired of being told by people on the coasts how contemptible he is. 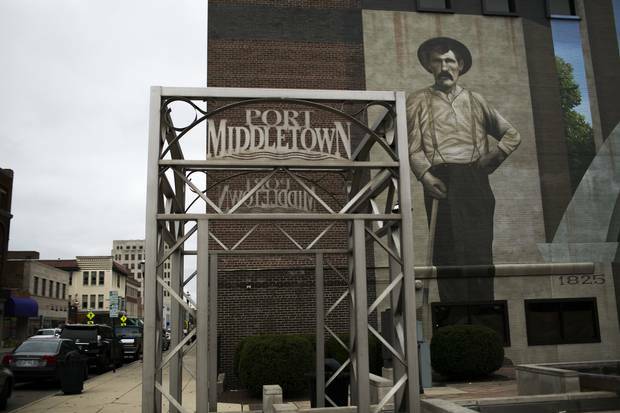 Middletown was hit hard by the 2008 recession, after years of decline as factories closed and jobs moved away. Now, there are signs of revival in the community of 50,000 people. What these people have in common is that most of them think their political system has broken down. "We sent a message loud and clear that we're not okay with voting for the Republican or the Democrat you think we should vote for any more," she says. Still, one thing bothers me. Despite their disgust with politics as usual, how could so many people possibly vote for a character as flawed (and, in my view, dangerous) as Donald Trump? I think the cornerstone of his appeal is that they believe he is beholden to no one. What you see is the unvarnished man, someone who doesn't care about political calculation and speaks the truth as he sees it. They discount half his talk as blow-hardism. Of course he won't deport 11 million immigrants! It's impossible. They believe that the checks and balances of the Constitution will stop him from doing something really stupid (an optimism I wish I could share). He'll have wise and knowledgeable people by his side. Those things, they think, will mitigate the risk. They also thought the alternative was awful. The Democrats had years to find a nominee and they couldn't even come up with someone likeable. There's another thing that everyone I meet has in common: an intense desire for their politicians to find common ground. They are sick of the divisions, the gridlock, the political paralysis, the culture wars. They want their leaders to stop the ugliness, stop the fighting. They want them to find a way to co-operate and move ahead. They want them to remember that they're working for the people and not themselves. Well, some day maybe. In the short term, I'm pessimistic. I think Donald Trump is a disastrous choice for president, and the system's problems are so deep that they'll be very hard to fix. But now I understand a little better how the U.S. got to where it is right now. And even Mr. Trump won't last forever. Margaret Wente is a Globe and Mail columnist. Doug Saunders: The real reason Donald Trump got elected? 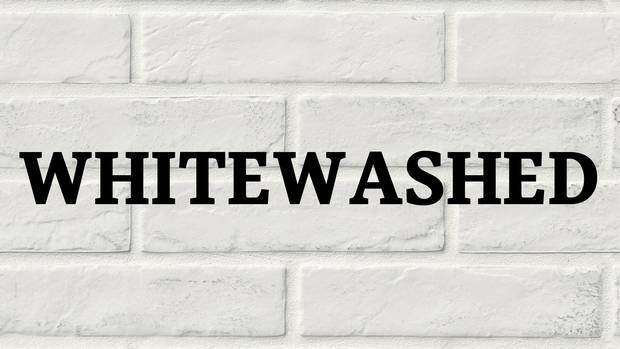 We have a white extremism problem As white people, the election of Republican Donald Trump to the U.S. presidency was our turn to experience the cold shock of discovering that a significant part of our community has been radicalized. Memphis in the age of Trump: Where the past, some fear, is prologue In a city that witnessed the Civil War and the King assassination, Jana G. Pruden encounters currents of anxiety, hope and dismay. 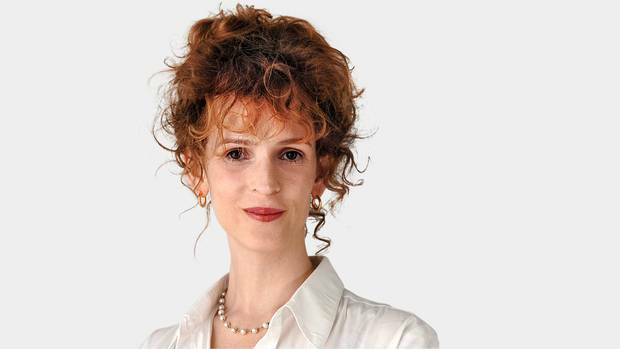 Tabatha Southey: Trigger warning, Trump fans – This column calls racists ‘racists’ Well done, America. I can report that we in Canada are feeling a little Austria, 1933, right now.